If you are waiting for an opportunity to move up the leadership ladder, I have a question for you. Will you be ready when it gets here? A Realtor friend of mine says that the biggest mistake that people make when selling their homes is failing to get their houses ready before they put them on the market. Instead, they start to feel it’s time to look for something bigger or smaller or closer to downtown or out in the country or on the water (you get the idea), and they get busy looking. A far better plan, according to my Realtor friend, is to get the house ship shape first. It has to show well to compete. Getting a promotion is like that. Shopping the postings and the job boards is best done after you ready yourself for the race. 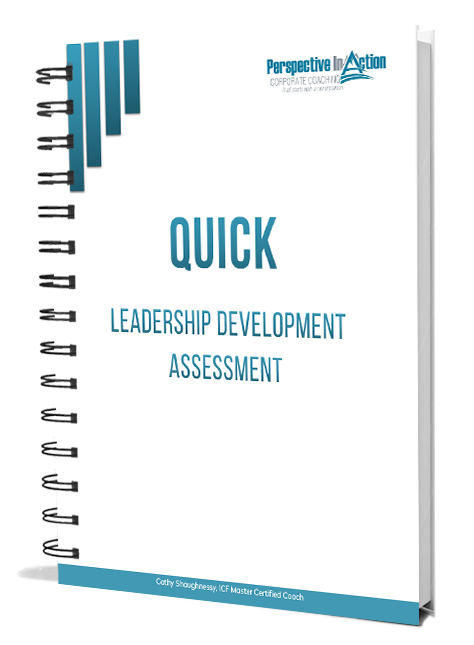 In addition to assessing your current skills and creating a plan for your leadership development. You’ll want to work on your executive presence. Don’t mimic a CEO you’ve read about, admired or conceptualized in your mind. Personal authenticity is critical, so find your most natural way of walking, talking, dressing and interacting with others. If you try to act important, you will come across as arrogant. Think about how you want to be perceived, and aim for these qualities in everything you do. 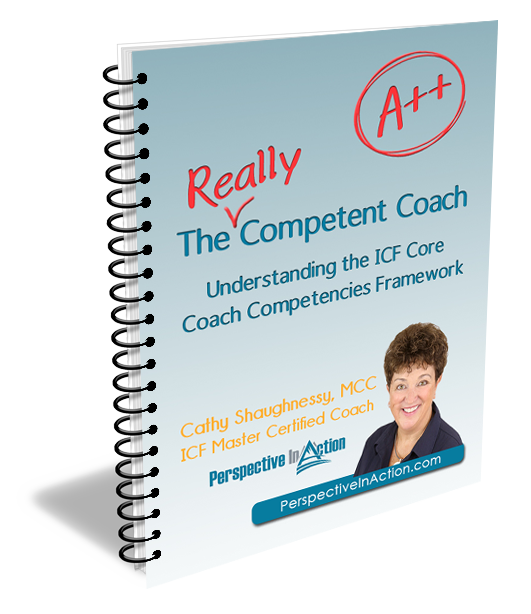 Identify your core strengths and values. Write a brief description of yourself from the perspective of someone who has just met you. What would you like people to say about you? Start working on specific aspects of this ideal description to ensure they’re real. If you’re not expressing your values in the things you say, then maybe you’re fooling yourself about them. Leave a long message on your voicemail, and play it back in a few days to get an idea of how you sound to a stranger. Note any aspects of your speech that you would like to change. You may not be aware of your vocal intonations and tics, which can add to or detract from how others perceive you. Record a conversation with a friend on audio or video (with permission of course). Make sure it’s long enough so that you and your pal forget you’re being recorded. Study yourself and your friend’s reactions to jot down any habits or behaviors that contribute to or inhibit empathy, clarity, and authenticity. Ask one or more close friends or colleagues to share their impressions about meeting you for the first time. Remind them to be brutally honest, and encourage them to offer insights into other aspects of your interactions—especially the areas that could be improved. Review your discoveries with your coach or mentor. Ask for help. Practice. The change will take time, as personal habits in interacting with others are ingrained. After a while, however, you and your inner circle should begin to notice improvements. Never forget that polishing your interpersonal skills and executive presence is a lifelong journey. Thinking about your possibilities for promotion can be exciting. I’m a big believer in setting goals and plans for the future, but before you start spending that bigger paycheck, you’ll want to take some time for some time to make sure you’ve got what it takes to get the job. So, what do you think? If you are a Recruiter or HR Professional, we would love to hear your tips for getting ready for a promotion. Post your comments below. 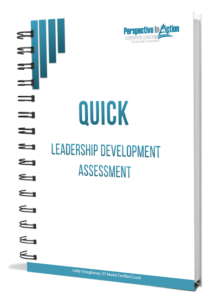 If you are starting to get your own leadership ‘house’ in order, you will want to download the QUICK Leadership Development Assessment. 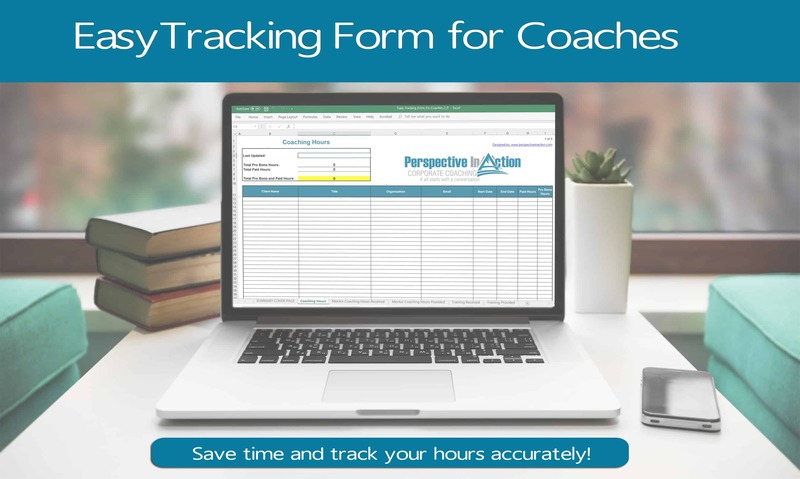 It is a reflective tool that will help evaluate where you are now and assist you in crafting a plan for moving forward in your growth as a leader. Wonderful insights. As an executive coach, here are tips I suggest to clients seeking a promotion or new position. 1. You need to differentiate yourself from others, while honoring your authentic self. I believe that when you differentiate yourself, you no longer have to compete. What makes you different? Sought out? Followed? 3. When you are in the interview, ask this question midway. “If you decided to promote me and it is a year from now, what would have had to happen for your to believe I exceeded your expectations?” You will need to pause because this is a thought provoking question. You will learn how you will be measured for success. If the expectations don’t align with your strengths, you will know that this position is not going to showcase your talents. 4. Last, your network is your “networth”. Build your relationships with those people who can influence promotions or are in positions to hire you in the future. Dig your well before you’re thirsty – in other words, find opportunities NOW to build meaningful relationships before you need them. Find ways to net-give back before you reach out for their sponsorship. Thanks for the insights Cathy. I’m a huge fan of self-awareness and self-discovery and you have provided some practical ideas to increase that. We sometime delude ourselves because we don’t have the time, energy or humility to see ourselves as other see us. Thanks for your comment Toni! I especially like the way you have connected ‘humility’ to the equation. No time and no energy are common self-imposed roadblocks. St. Augustine said it well, “Do you wish to rise? Begin by descending. You plan a tower that will pierce the clouds? Lay first the foundation of humility. I love the analogy of the home renovation and getting ready in advance. To build on this analogy I would also suggest that when homeowners just stage their homes or cover up issues, eventually they are discovered by buyers and create disappointment and anger. The best homes (and leaders) have good bones too. 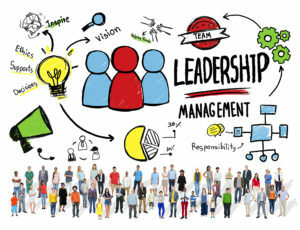 I advise leaders, especially up and coming ones to practice and apply leadership skills even if they don’t formally have the title of the role they seek. Be the leader at the next level before you expect to be promoted. 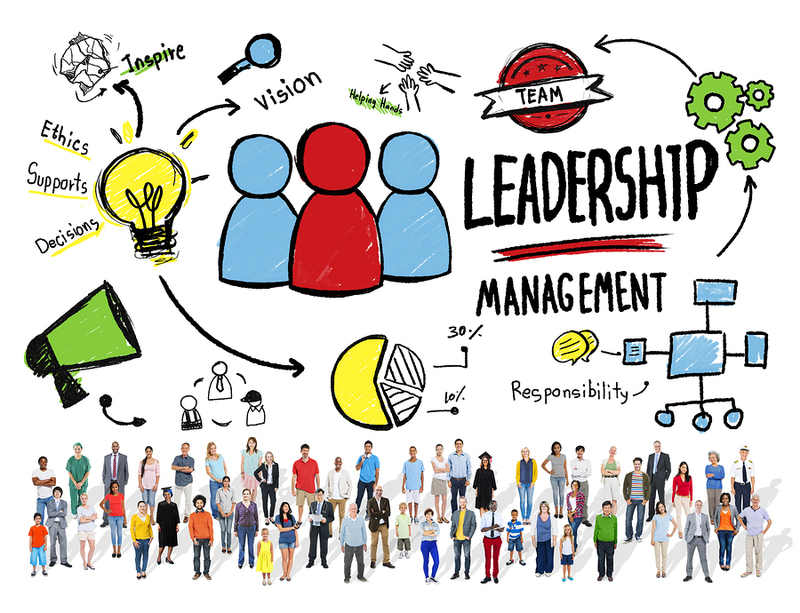 One of my bosses always said to his team, ‘I don’t choose leaders, the team does.” What he meant is that it had to be visible to everyone that they were ready. That they were already acting at that level. It was noticeable and no one would be surprised. In fact they would say, yes, about time, congratulations. Tammy – So important to be authentic, AND to do the work of constantly practicing new skills. What a candidate presents at an interview will ultimately be the real deal! Loved your comments. Thanks. What resonates for me in reading these thoughtful comments is the need to lead and navigate our career journeys from the inside out. These are words synonymous with the leadership challenge that for leaders to show up as creative. resilient and capable they need to be developing their inner game and developing their level of consciousness in order to support the outer game of leading organizational challenges and people . Navigating a promotion or what comes next in your career is something that I believe also needs to be led from the inside out. 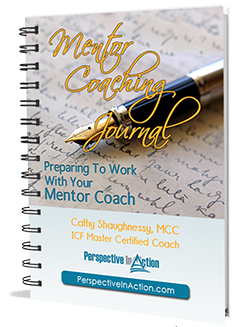 As Cathy’s article describes preparing by reaching in and working with others to challenge and grow our self awareness is critical in that it strengthens the muscles that keep us connected to our passions, what drives us, the limiting beliefs that might be holding us back from the next challenge etc. That is a critical piece that hiring managers will be looking for when they are interviewing you for that next level up. So do the work first get to know your inner game – it is the differentiator for success. Jennifer – Preparation is the key for sure! Loved your reference to the inner game. It reminded me of the classic book by Tim Gallwey, The Inner Game of Tennis: The Classic Guide to the Mental Side of Peak Performance. One of my faves. And let’s not forget The Inner Game of Work: Focus, Learning, Pleasure, and Mobility in the Workplace. Another great read by Gallwey. These are excellent insights & suggestions, and a great reminder that seeking feedback from trusted colleagues and friends is enormously helpful. Remember that your impact on others may be completely different than what you intended, so it is important to “check it out.” A good coach will help you to identify where to begin, and will help you to set a path for change. If, during feedback sessions with friends or co-workers you find yourself wondering what the person with the deadpan face in front of you is thinking – we usually have a 6th sense that something wasn’t received as we intended – ask them . You need to know how you are being received. You might think you’re simply being forthright if your style is to shoot from the hip, but the person you’re speaking with may interpret your communication style as aggressive or angry. Thanks for your comments Anne. What a great definition of exceptional leaders as “those we admire and want to work with”. You are so right, this is earned by a leader after lots of (maybe and entire career) self-reflection. You hit the nail right on the head! The points raised in this article are excellent. That said, one aspect often overlooked is how you have grown in your present position. For example, you could have 5/10/15 years in your present role but actually have one year’s experience 5/10/15 times. – Evaluate the learning you have done during the time in your present role. 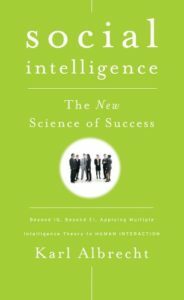 – Examine not only the formal learning but the informal learning such as self development material read or challenges accepted and met (whether successful or not) and be prepared to articulate specific skills learned through those experiences. – Consider how long it has been since you took formal training, if it has been 5 or more years that knowledge may well be out of date. – Finally look for ways to link your specific skill sets to those required for the new role, map where you fall short and then seek formal ways to close the gap before seeking the promotion. Thanks for your thoughtful addition to the conversation Gordon! “One year’s experience” many times can be a dangerous trap to fall into. As a leader, it can be too easy to convince oneself that tenure equals talent and quite naturally avoid stepping out of one’s comfort zone to look a little deeper.